Don’t waste time trying to install office furniture yourself at your business in Shreveport, Texas, or a surrounding area. 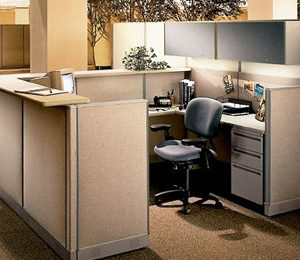 Instead, turn towards the area’s leading office furniture service provider, Business Environments. We have proudly assisted local businesses with space planning, installations, and other office furniture services since our founding in 1988. At Business Environments, you can feel confident knowing your investment will be installed correctly the first time because we offer an impressive industry-first lifetime warranty and satisfaction guarantee. This means that if something goes wrong with your installation, even several years down the road, our team will come back and make it right. To learn more about the office furniture products we offer to businesses in Shreveport, TX, and the surrounding communities, contact Business Environments today. When you do, one of our team members will happily answer any questions you may have and schedule you for a consultation at your earliest convenience.